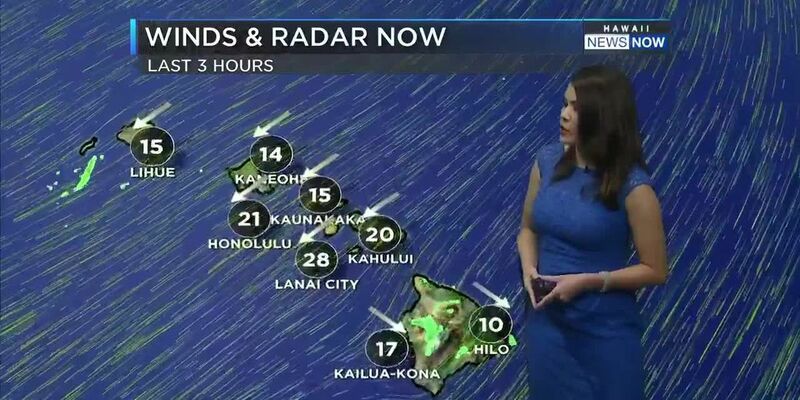 HONOLULU (HawaiiNewsNow) - Light to moderate trades will continue through Wednesday, then become breezy through the second half of the week and upcoming weekend as a ridge of high pressure builds to the north. 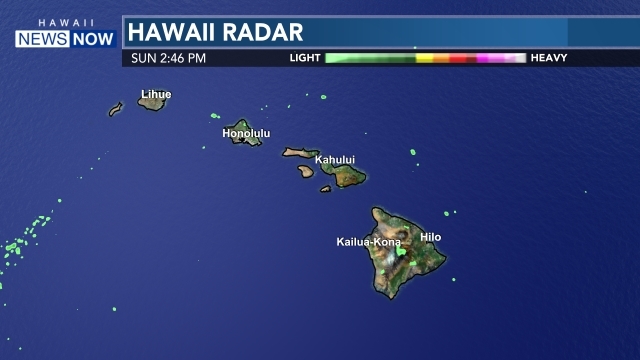 Clouds and showers will favor windward locations each day. For the extended (early next week), guidance remains in decent agreement and depicts a mostly dry and stable pattern with breezy trades continuing. Surf will remain below advisory levels along all shores for the foreseeable future, but not flat. 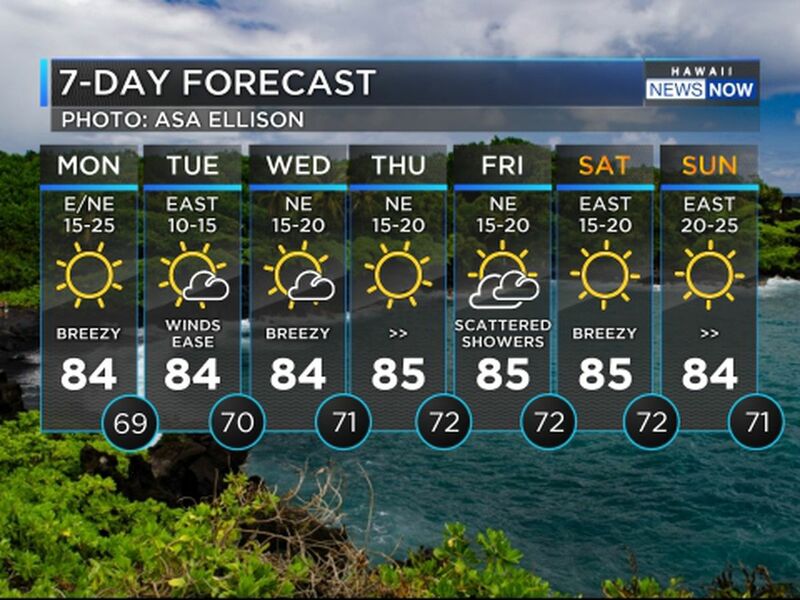 Surf along E facing shores will trend up later in the week as the upstream fetch of trade winds grows, but not to the extent we saw last week. A relatively small NNW swell is expected to bring increasing surf along N facing shores Thursday night and Friday before dissipating Saturday. 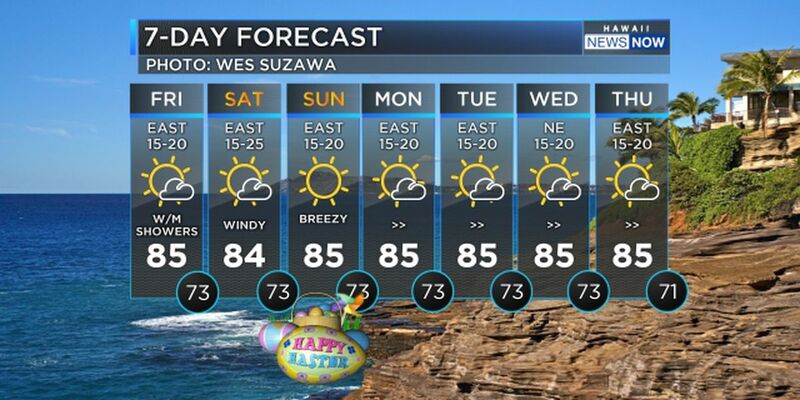 A smaller WNW swell is possible early next week. Small pulses of swell arriving from deep in the S hemisphere are expected to arrive along S facing shores into the weekend, and may pulse even higher early next week.